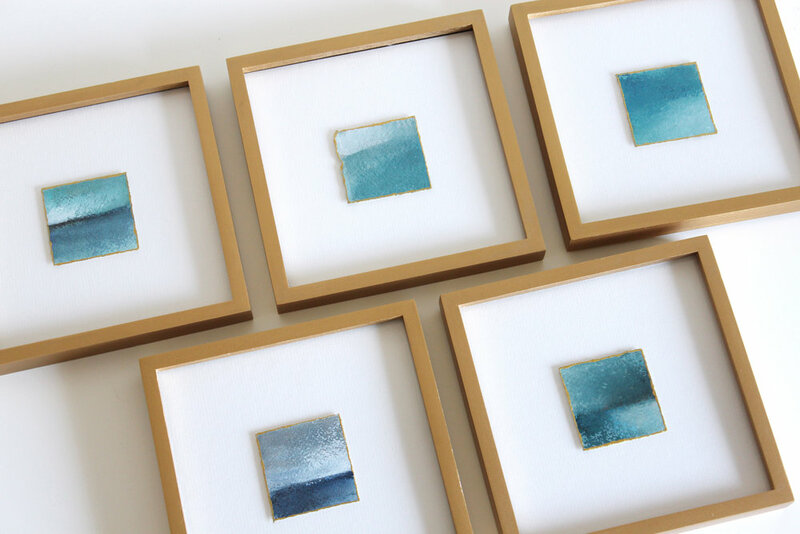 This tiny collection of 6 small works make wonderful little gifts for any occasion (Hint: Valentine’s Day is right around the corner). Each 2x2 inch painting is an original acrylic abstract on Arches, 300 gms watercolor paper. Edges are touched with a coordinating metallic paint that compliments the 6x6 inch metallic frames, 5 gold and 1 silver (thus the name “Odd Man Out”). This collection kicks off my year of “Exploration”. Follow along to see what projects pop up next in the Gift Shop!